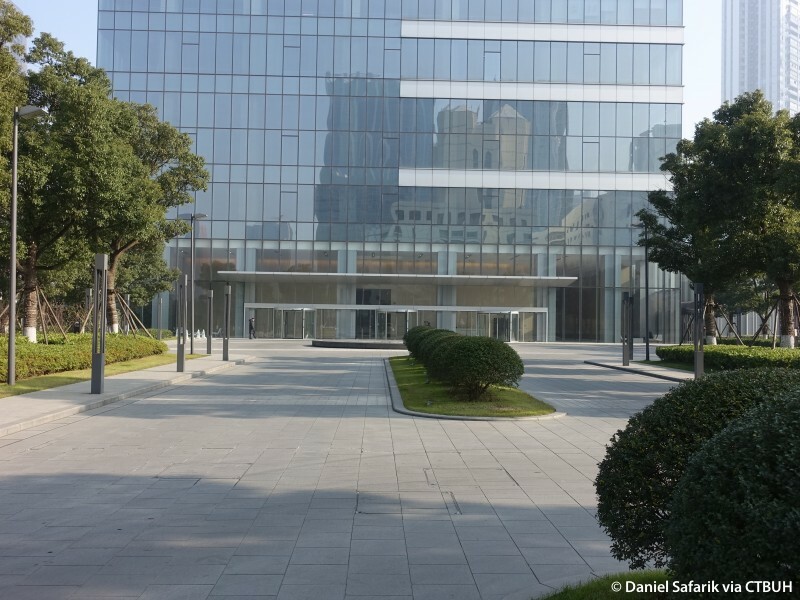 • Food Service	 Pro-Fit Industrial Co., Ltd.
• Lighting	 Brandston Partnership, Inc.
• Way Finding	 Graphia International Ltd.
Wuxi International Finance Square is located in the newly created Taihu Plaza central business district of Wuxi. 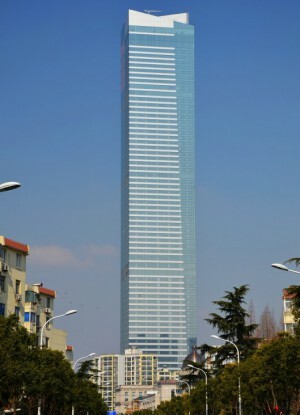 As part of a larger development, Wuxi International Finance Square is designed to anchor the new district. 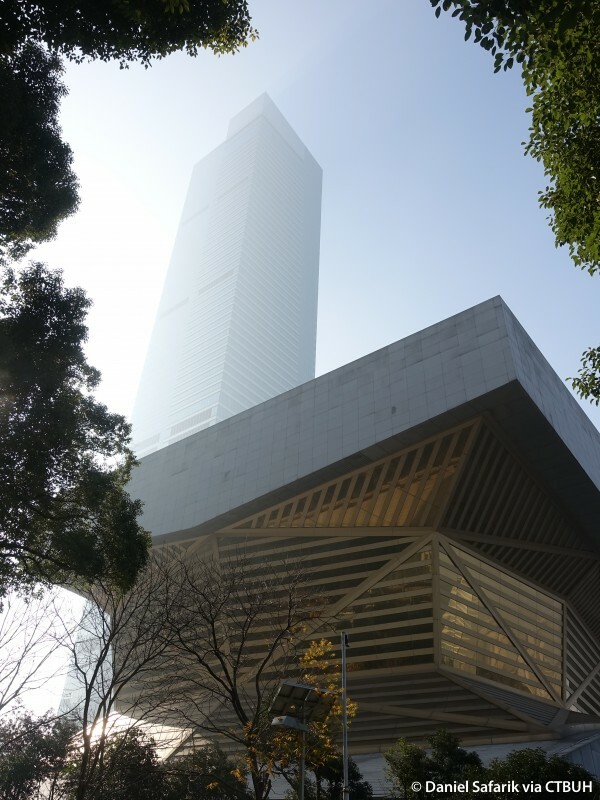 As such, it is located near several major public gathering spaces, including a large public square, and the city’s library and museum. 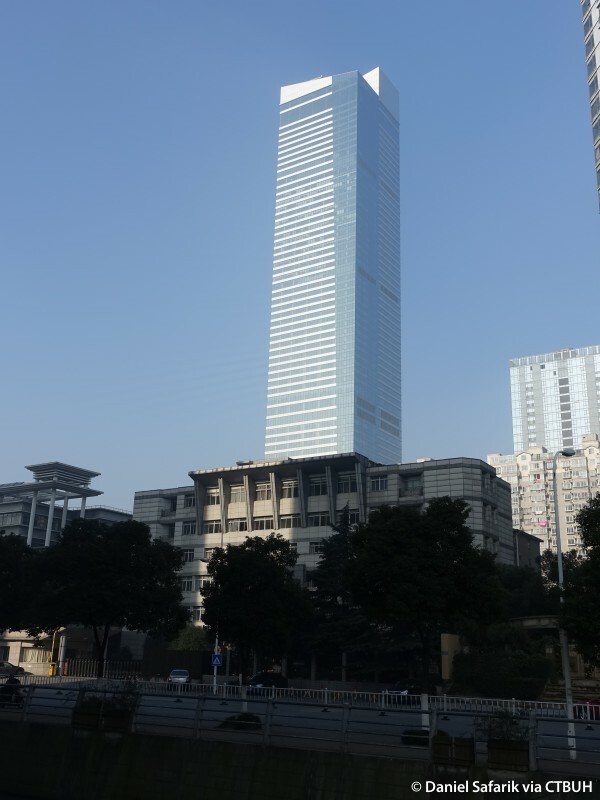 Perhaps most importantly, the tower is situated steps away from the historic Grand Canal, a symbol for the city and the historic catalyst for Wuxi’s economic growth. 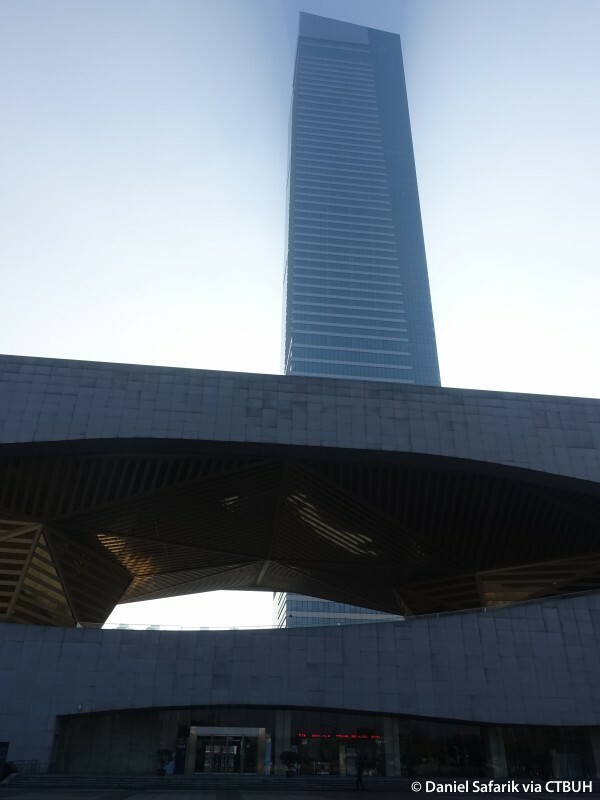 The building’s location then informs its purpose as a contemporary symbol for the city and its recent successes. 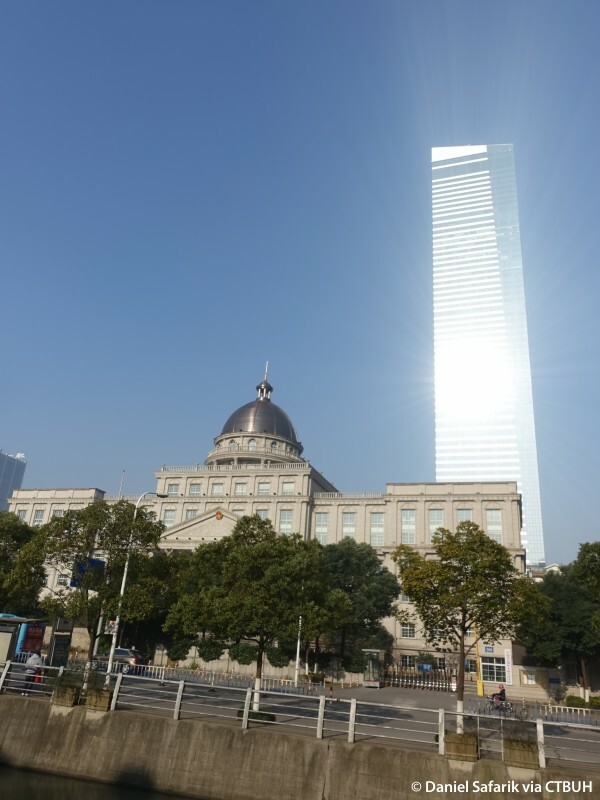 The building’s rigid design stands in stark contrast to the undulating form of the Wuxi museum situated at its base. 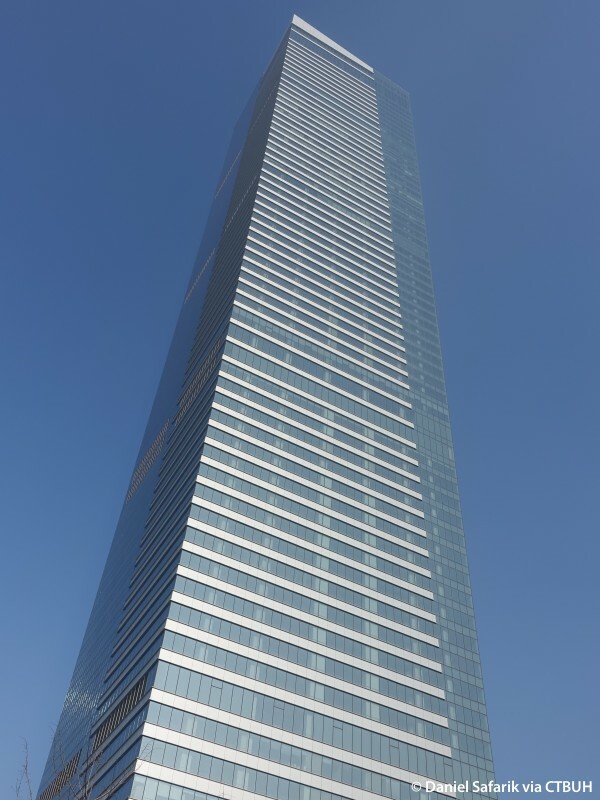 Most of the tower’s ornamentation takes the form of horizontal accents that wrap around the northern corner of the building and recede in length on higher floors, creating a wedge of uninterrupted glass paneling on the exterior. 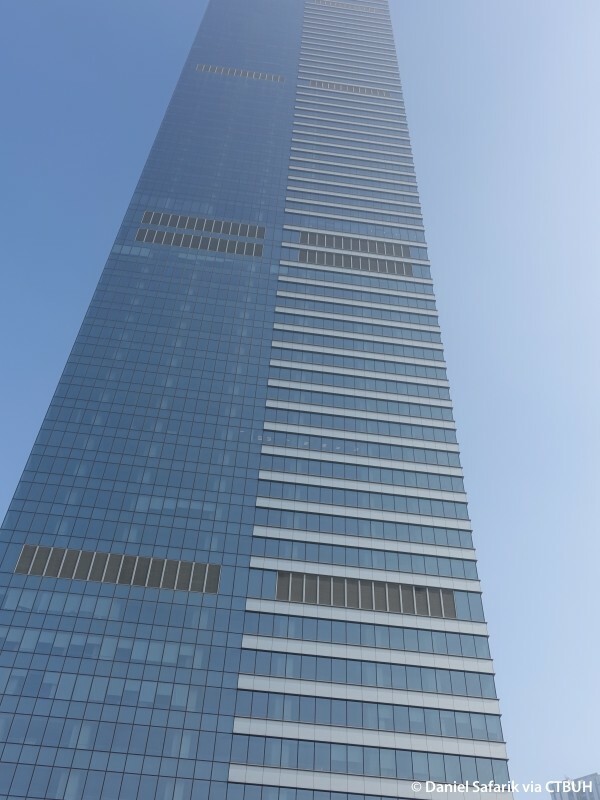 These accents add a sense of dimensionality to the building, which would otherwise rise from the ground unadorned. 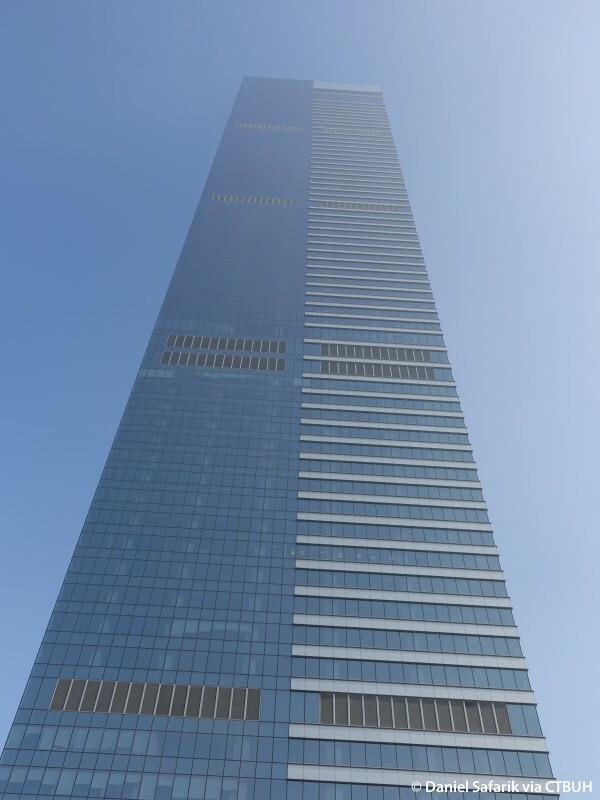 Additionally, the building’s roof is slanted to the southwest. 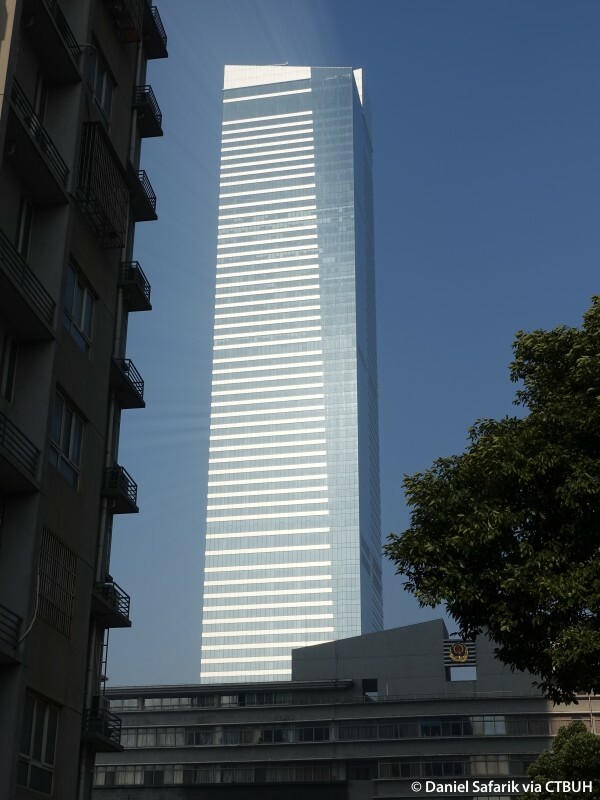 The interplay between these diagonal elements dramatizes the scale of the tower and differentiates the appearance of each elevation. 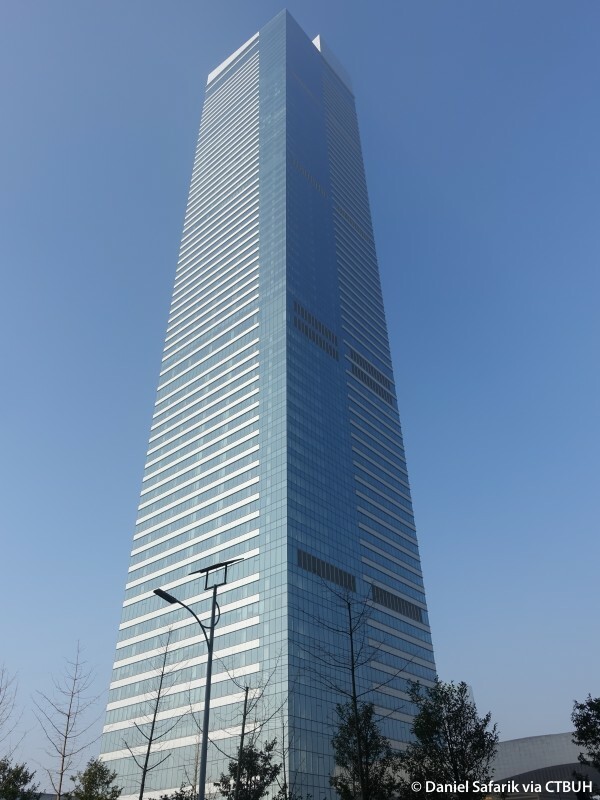 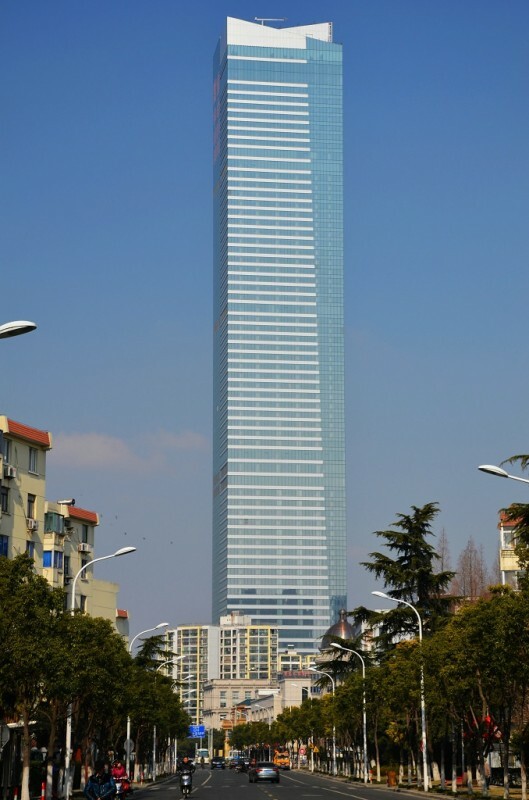 The building conforms respectfully to the conventions of other nearby high-rises, including the Wuxi Maoye development, a neighboring supertall tower. 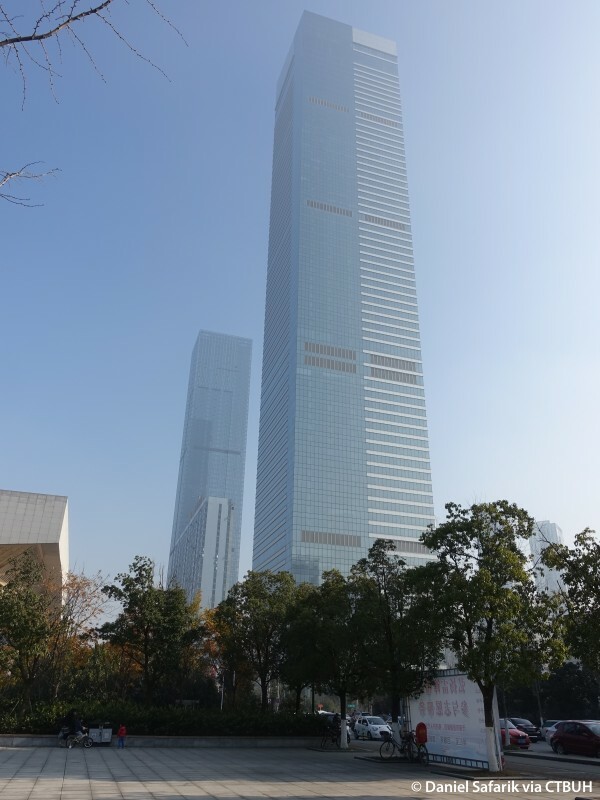 These towers both have blue-tinted all-glass façades, and both rise similar heights, with nearly identical locations of mechanical floors. 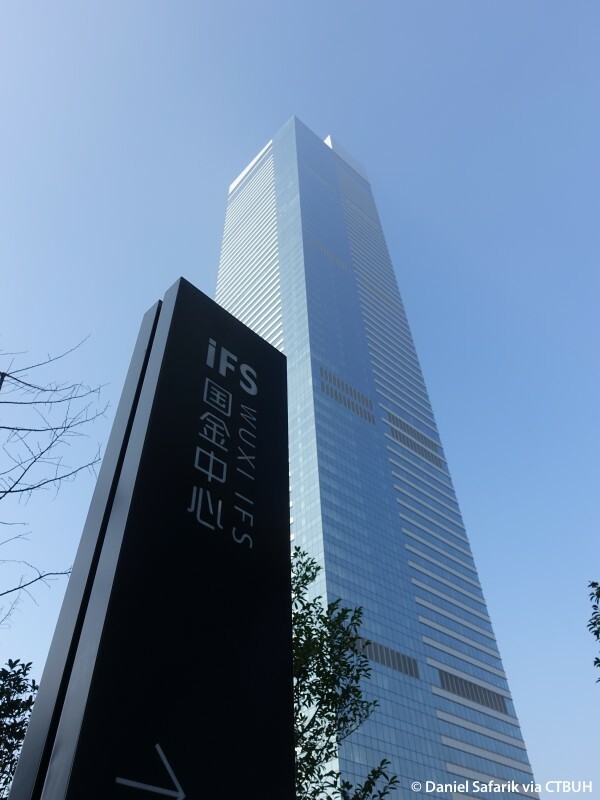 As a new development for an ancient Chinese city that has recently come into its own, Wuxi International Finance Square chooses to look forward rather than dwell on the past, as contemporary skyscrapers tend to do.